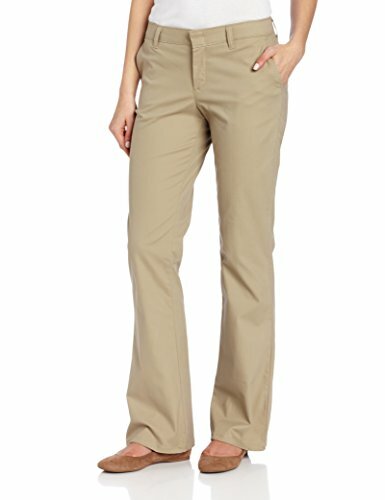 Dickies Women's Flat Front Stretch Twill Pant, Desert Sand, 12 Regular | What Should I Say? Slim fit mid-rise stretch twill pant with bootcut leg opening. Inseam Length: Short - 30", Regular - 32", Long - 34"